From being over-reliant on manual processes and spreadsheets to being run on end-to-end solutions that offer ‘BEST’ features—Better performance, Excellent customer success, Superior functionality and Technological superiority— the supply chain landscape has changed drastically over the last few years. 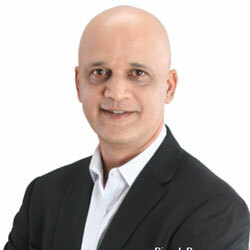 This is a fact that we understand to the core, says Dinesh Dongre, Vice President, Strategy at Softeon, a company that specializes in supply chain technology solutions. We are striving to deliver innovative capability that empower each client with the business agility and deep functionality to stay ahead. Softeon was formed with the belief that sup¬ply chain software could be substantially improved in terms of ease of use, flexibility, and implementation success. “We under¬stood that existing supply chain software was not fundamentally architected to deliver these benefits,” reveals Dongre. So from the start, Softeon built a technology solution foundation of cohesive components on a Service-Oriented Architecture platform. Softeon was the first ‘true web native’ supply chain technology solution. “This reaped significant benefits for both Softeon and more importantly the customers, empowering them with the ability to quickly and easily deploy tailored solutions,” he adds. Over time, Softeon has extended this solution platform to move well beyond Warehouse Management Systems (WMS) to now offer a complete suite of supply chain solutions, including Transportation Management System (TMS), Resource Management System (RMS), Distributed Order Management, Demand Planning and Forecasting and other capabilities that have been adopted by both large and mid-sized companies. The company has a very powerful omni-channel capabilities platform, the heart of which is an integrated Distributed Order Management (DOM) and WMS solution that provides extensive capabilities with regards to order sourcing, inventory management and allocation, and order fulfillment. Softeon’s DOM solution also enables companies to configure a sophisticated set of rules for how orders will be sourced from multiple distribution points across a company’s own network and even its suppliers’ net¬works, based on parameters such as cost and service. The heart of this solution is a powerful, user configurable rules engine, which provides maximum flexibility and extremely robust inventory allocation ca¬pabilities. Softeon’s Agile Demand Planning System (ADPS) is another unique and powerful tool that needs a special mention. The tool enables companies to forecast near-term demand and optimally procure, deploy and replenish inventory across their networks. Softeon has extremely rich functionality and great depth in terms of solution modules that sets them apart from the rest. The company has a great customer base across multiple industry verticals including Third Party Logistics (3PL/4PL), Manufacturing, Consumer Package Goods, Consumer Retail, Food and Beverage and Publishing among others. For an example of Softeon’s innovative capabilities and results focus, consider the case involving the Entertainment division of a Global conglomerate. The client was the global fulfillment division for various media and entertainment industry customers distributing games, music and movies to retailers and consumers. But that market scenario was changing and required a transformation of the business model from being a captive service provider to the one that performed outsourced work for other media and entertainment companies. The client deployed Softeon’s DOM and WMS software to power this transformation, and the tool allowed our client to quickly on-board new clients and easily tailor rules around how orders, inventory and fulfillment are handled for each customer’s requirements. The result was a successful transition, with the on-boarding of more than 50 media and entertainment companies globally. Going forward, Softeon aims to push the software envelope. “We are the leader in ‘Cloud-based’ WMS offering unique capabilities that enable WMS users to configure their own systems using templates and minimal help from IT resources which are always scarce,” affirms Dongre. “We are also leaders in ‘integrated planning and execution’. And with a series of tools and integrated workflows we aspire to bridge the planning and execution divide,” he concludes. A leading global provider of technology solutions in the Supply Chain domain.